Summary: When Fiona the hippo arrived two months prematurely, her caretakers at the Cincinnati Zoo sprang into action to save her. At 29 pounds, she was about one-third the healthy weight for a newborn hippo, and was too weak to climb on her mom’s back or to nurse. The staff watched over her day and night, creating a hippo formula based on her mother’s milk to feed her. When she was a few months old, she began gradually transitioning to her parents’ care. Fiona became something of a social media sensation, and a Google News search reveals that as recently as two weeks ago, her growth spurt was making headlines. Includes four pages of back matter with additional information about hippos. 48 pages; ages 4-10. Pros: This is my favorite kind of animal nonfiction book…an engaging story, lots of adorable photos, and plenty of information that would make it a good research resource. 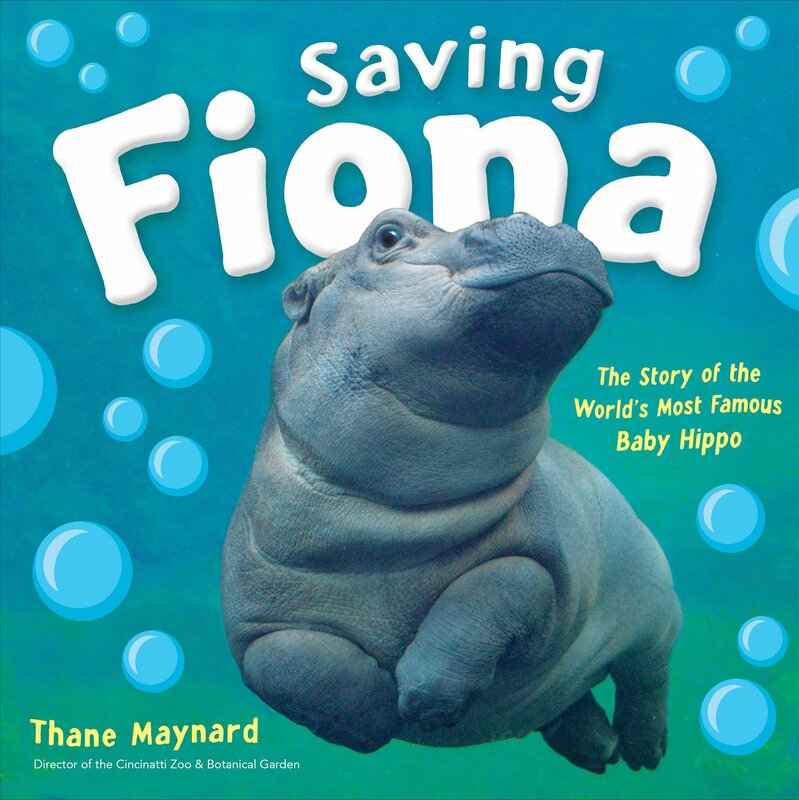 I was surprised to read that hippos are the most requested animals at the zoo, but after seeing the photos of Fiona, I can understand why. Cons: Some resources about hippos for additional research would have been a nice addition.